It’s not quite 30 years, but it’s a significant amount of time. If you’re an actuary studying life expectancy, you would know that the average joint life expectancy today for a non-smoking 62 year old couple is age 92 (30 years). That’s right. If you’re 62 years old and you don’t smoke, actuarial statistics indicate that you or your husband/wife will live another 30 years! That’s 30 more years to support your desired lifestyle either by working for income, or by withdrawing money from your Retirement Bucket™ that you’ve so carefully accumulated over your lifetime. If your health or desire leads to Door #2, i.e. being supported by your Retirement Bucket™ instead of work, then you’ve got quite a tall task in front of you. After all, not only do you have to deal with paying for goods and services today, but 30 more years of price increases. If that ratio held true for every cost you have in your life, i.e. 245% or two and a half times the cost to buy the “same” goods and services, your monthly income must also increase two and a half times over your lifetime as well just to stay even! In order to do that, your Retirement Bucket™ must also grow by that much in order to kick off the lifestyle sustaining income you need. Given this incredibly tall task, the six million dollar question that every retiree wrestles with on a daily basis is ‘what method gives us the best chance of having our Retirement Bucket™ grow fast enough so we don’t run out of money’? The most prevalent thought process, which has been perpetuated by financial media for years, and bought hook, line, and sinker by the overwhelming majority of Americans, is that investment “gain” is achieved by the select few who buy THE right companies at THE right time, and sell at THE right time. Simply watch any financial news show, or track headlines all day long on Yahoo Finance or MarketWatch. Everything is about timing and selection, i.e. WHAT to buy and sell, and WHEN to buy and sell. What you should demand from them is extensive case studies of multiple Americans who have employed this method successfully over a long period of time, say a statistically average 30 year retirement. Demand a detailed daily trade by trade analysis so you can see up close exactly WHAT was bought and sold, WHEN it was bought and sold, and what the results were over a 25- 30 year period. Let’s take a look at a second approach with real world factual numbers. To do that, let’s go back 27 years to that historic day in American history: October 19, 1987. How well do you remember that day? 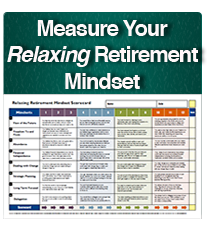 Your answer is very important to your mindset because that 27 years is very close to the historically average length of your retirement years that you have to provide for. On that day, if you owned little pieces of the 500 companies represented by the S&P 500 Index, the value of your shares dropped 25% in one day. If we expanded your ownership, and you owned little pieces of the next 2,000 biggest companies, as represented by the Russell 2000 Small Cap Index, the value of your shares dropped almost 30% that same month. Not exactly a fun time, and certainly cause for anyone employing Option #1 to “sell” their ownership shares in these companies. What would have happened had you not employed that dominant strategy and, instead, instituted an “ownership” mentality, i.e. that in order for me to achieve investment “gain”, I’m not going to attempt to “trade”? I’m not going to delude myself into thinking that I can buy the right companies, at the right time, and sell them at the right time in order for me to obtain the “gains” I need in order to support my desired lifestyle over my statistically average 30 year retirement. Assume for a moment that you had no idea what companies to buy, and that you concluded that you had no acumen for knowing ‘when’ and when ‘not’ to own them. Let’s also assume that you had no idea what a risk premium was, and thus you employed no ‘weighting’ strategy toward certain asset classes. Instead, you didn’t do anything spectacular by today’s ’be in the know and buy what’s hot’ crowd. You simply bought little ownership shares in the 500 biggest American companies, known as the S&P 500 Index, and in the next 2,000 companies represented in the Russell 2000 Small Cap Index. 27 years ago, on October 19, 1987, each share of the S&P 500 Index you bought cost you $224.85. Each share of the Russell 2000 Index you bought cost you $121.39. Now, let’s assume that you needed and spent all the dividends each of these companies paid you for being a shareholder over the next 27 years to today. Finally, let’s assume that you fully employed an ’ownership’ mindset, and thus never attempted to sell and buy back your shares when prices plummeted or rose sharply. How did this approach work to help you achieve your desired goal of having your Retirement Bucket™ grow fast enough and not run out of money while it was providing you with the lifestyle sustaining income you needed to offset the 245% increase in the cost of everything you needed to buy over these 27 years since 1987? At the end of last month, on September 30, 2014, your ownership shares in the S&P 500 Index you bought back in October of 1987 for $224.85 are now worth $1,972.29. Your ownership shares in the Russell 2000 Index you bought back in October of 1987 for $121.39 are now worth $1,101.68. Do the math for a moment and you will conclude that your combined little ownership shares in these 2,500 companies are now worth almost nine times what they were worth 27 years ago back in October, 1987! That’s almost a 900% increase in value, far eclipsing the 245% increase in your costs to sustain your lifestyle over the same 27 period of time. Which method do you like better in order to tackle this difficult goal? Option #2: “Owning” broadly diversified interests in thousands of companies? Option #1 may very well have worked for a few. However, in all my years of research, I’ve never seen one documented example. If you stop and think about it for a moment, this is why we choose to invest over our entire lifetimes. It’s not about gain for gains sake. It’s about owning assets (in an intelligent, broadly diversified manner) which can give us a fighting chance of increasing in value for the period of time we’re willing to own them, and for the stated purpose of keeping pace with ever increasing lifestyle costs. That’s what it’s all about, and what so many Americans miss and are distracted away from internalizing. We choose NOT to spend and consume all of our income from work over our careers. Instead, we take what we don’t spend and buy pieces of companies whom we believe will be worth far more in the future than they are today. How fortunate we all are that this incredible possibility even exists!